Whether you are a huge golf fan or you are just starting to take your golf game more seriously, you need to make sure that you have the right set of clubs and tools so that you can start taking strokes off of your game. If you already have a good set of clubs and you are feeling comfortable about your swing, or at least you do most days, it’s time to start dialing in your distances and closes.I am going to take a look at one of the premier Leupold gx 3ia2 rangefinder on the market today. If you have never tested a rangefinder on the course before, it can totally change your game. Not sure what a rangefinder is? A rangefinder is a simple, compact tool that uses line of sight technology in order to accurately give you the distance of an object, location, or the pin out on the course. Rangefinders can help you determine the lie of your ball, the projected location of your next shot, and help you adjust the amount of power that you are using in both your long and short game. The Rangefinder, so that I can cover some of its unique features, the pros, and the cons, so that you can decide if this rangefinder is right for you. This Rangefinder is certainly a high priced and high performing piece of equipment that you can use to improve your golf game. It is loaded with a ton of great features that make it super durable, reliable, and accurate. This Rangefinder boasts that it runs on a DNA engine, which stands for Digital Enhanced Accuracy, and an OLED display to give you precise readings and feedback. The particular technology that they use for the DNA engine will give you lightning fast readings, so that you don’t have to wait an eternity to plan your next swing. A big part of the reason why the Rangefinder can get such accurate readings is because it is equipped with what Leupold refers to as their Pinhunter 2 laser technology with a prism lock feature. That’s why this rangefinder can give you such accurate and instantaneous feedback. The reality is that you aren’t always going to be playing in ideal weather conditions when you are out golfing. There is always the chance that you are going to run into those foggy, early mornings on the course. This rangefinder has a one touch scan fog mode so that you can even get accurate readings in thick weather conditions. The effective range for this range finder goes from six to 700 yards, so that you can get accurate readings on the longest of par fives, down to the shortest puts and chips. It also has 6x magnification, which is nice for observing the course conditions for your next shot. Did I mention that the Leupold gx-3ia2 Rangefinder can take a beating? It is supported by a durable aluminum body with a cordura case. It also has rubber eye cups that you can fold down to protect the lenses when you aren’t using it. Now that we have covered the main features of what this rangefinder has to offer, let’s give you a quick breakdown of the pros and cons. Here are some of the features that I liked and didn’t like about this model. Extremely durable design with a cover and eye covers for protecting the lenses. Multiple lenses to serve in a variety of course conditions. ​Accurate reads with a clean, easy to read OLED display. ​Accurate up to 700 yards, so it has you covered on any hole length. Fog mode for accurate readings, even in less than ideal weather conditions. The nicest features that this rangefinder has to offer is its fog mode. Q:Does this rangefinder have a bottom Insert for a tripod mount? Q:Does this Rangefinder come with any kind of warranty? A: Yes, it comes will a full manufacturer’s warranty. Q:Does the carrying case come with it, or is it sold separately? A: The carrying case comes with it. DNA engine and accuracy driven technology. ​Fog mode for accurate readings for those hazy or misty days on the course. ​And the long distance of its effective accuracy. and that it is totally USGA compliant. 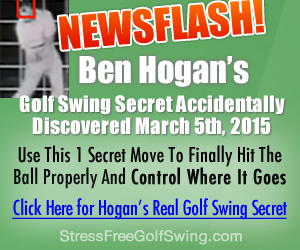 All around, this is definitely a trustworthy, accurate device that will help you take some strokes off of your game.